Hey Alison! I just found your blog and I love what you’re doing-especially the young adult part. As someone with OCD, you obviously know that it can be extremely isolating. For my generation (as a twentysomething), I think it garners even more difficulty because there is so much pressure to “figure out your life” and make big decisions at this age-so it is extremely difficult to juggle at times. I blog over at http://www.ocdtothenthdegree.blogspot.com. Come check it out if you have a chance! Thank you so much for your note! Your blog looks great. 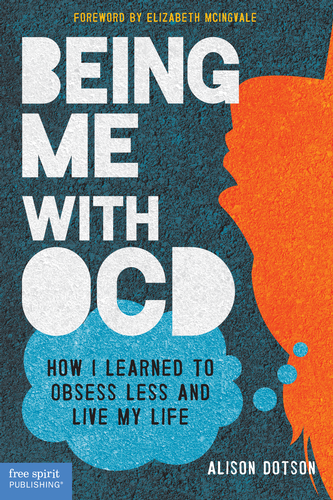 I am discovering more and more people who have OCD and who are skilled at promoting awareness of it. I’m 34 now, but I had OCD all through my teen years and into my 20s. I was almost 27 when I was diagnosed, so a large part of my youth (and life, really) was affected by the disorder. And you’re right–the 20s are already a trying time when we first strike out on our own, try to find a good job, bounce around to different apartments, and so on. Keep in touch!